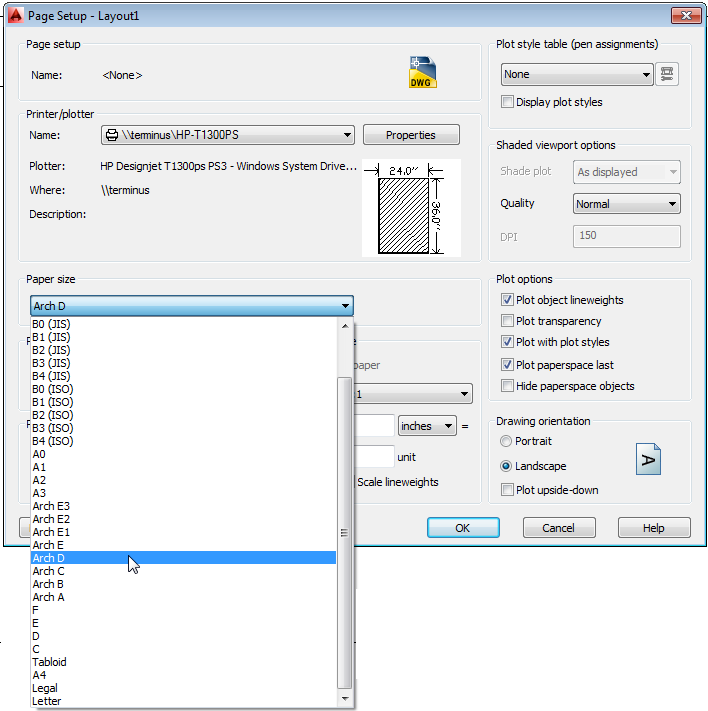 Open your AutoCAD drawing. Click the Layout you want to plot to make it current, and then right-click on the Layout tab again. 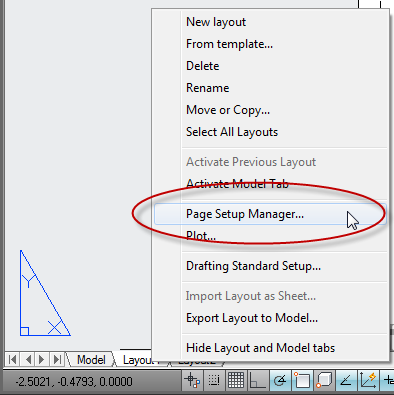 In the Page Setup Manager dialog box, click Modify. 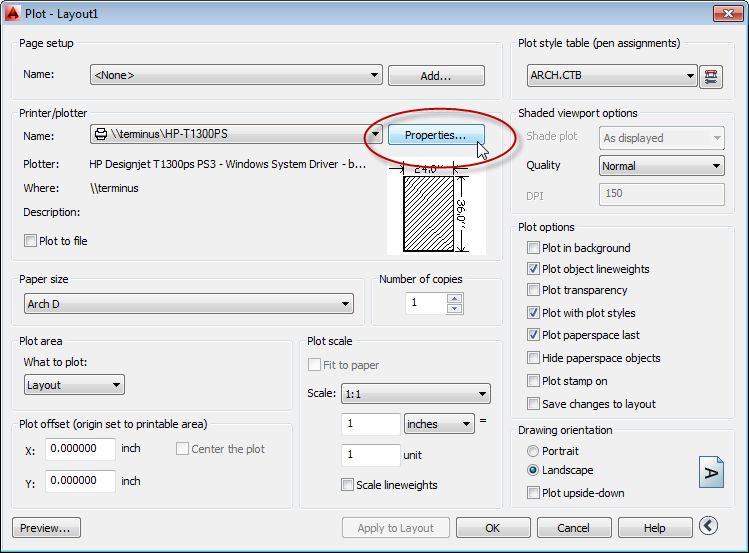 On the Printer/Plotter Name pull-down list, select the HP-T1300PS plotter. Select your Plot Style. 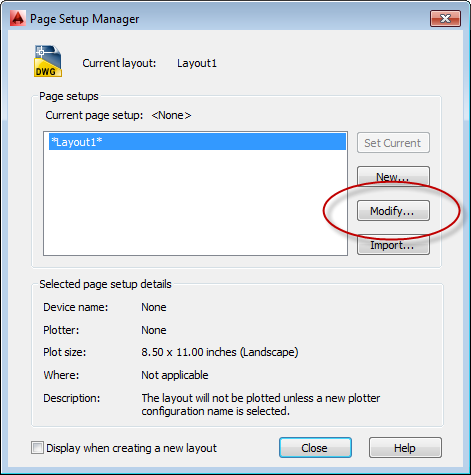 Click OK to save the page setup. Right-click the Layout tab. Click Plot. 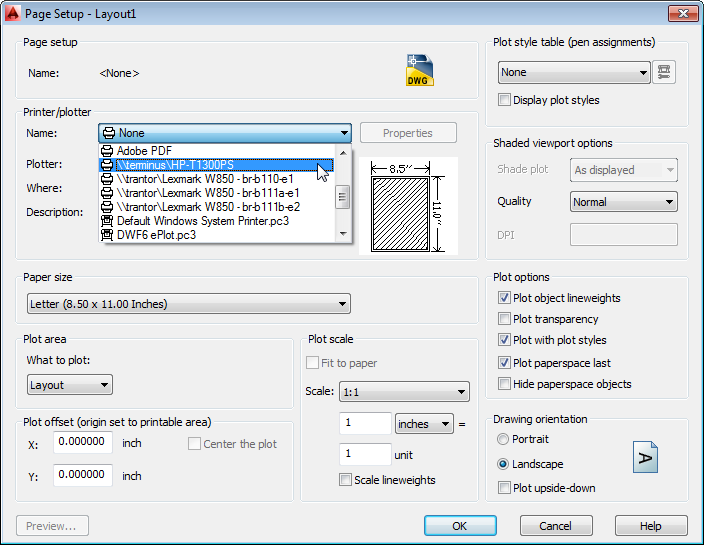 Note: You can also select Print from the File Pulldown menu. Check the Plot settings. Make sure you click Preview and examine the preview. If everything looks correct, click OK to plot. 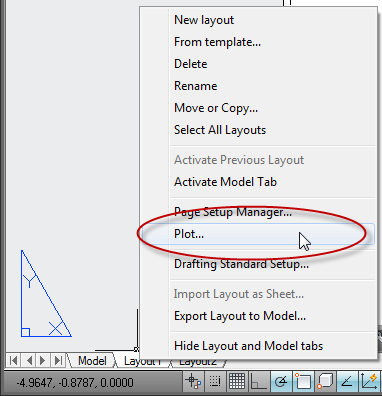 If the drawing does not plot correctly, right-click on the Layout tab and then click Plot. 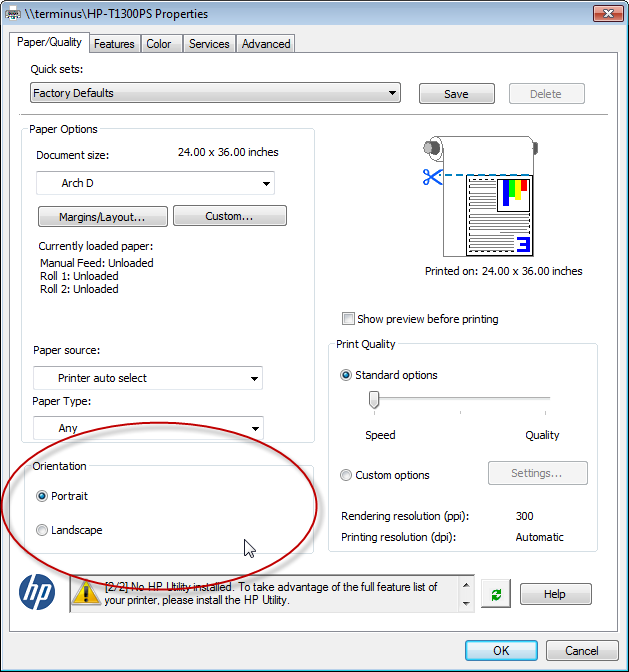 On the Printer/Plotter Name pull-down list, select the HP Plotter. 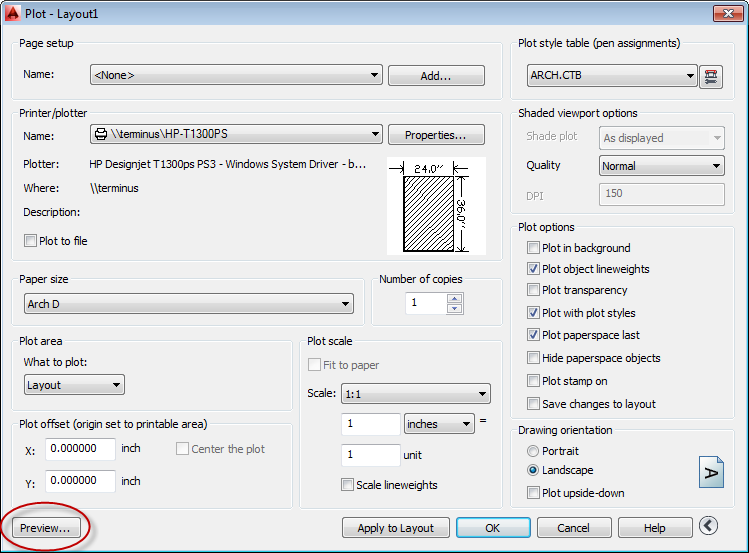 Click Properties (next to the Plotter name). 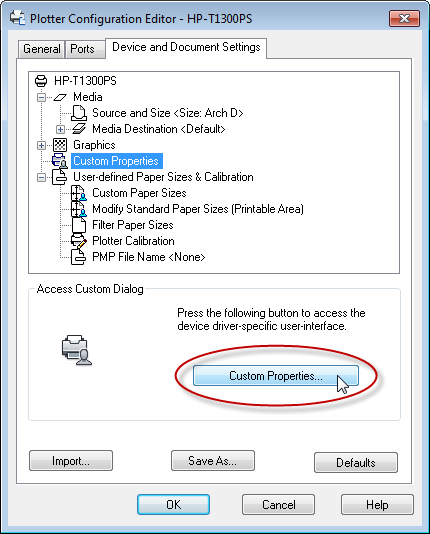 In the Plotter Configuration Editor dialog box, click Custom Properties. In the Document Properties dialog box, on the “Orientation” drop down list, select “Portrait” and then click the “OK” button. Save the settings if you are prompted. 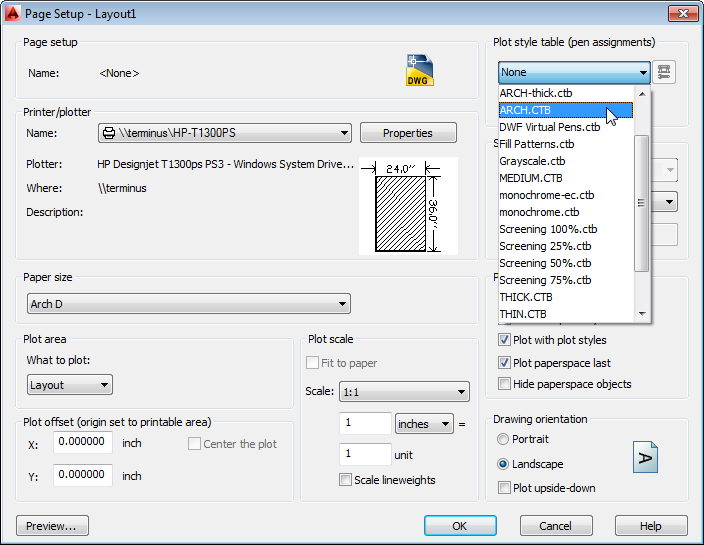 In the Plot dialog box, click the “OK” button to plot.